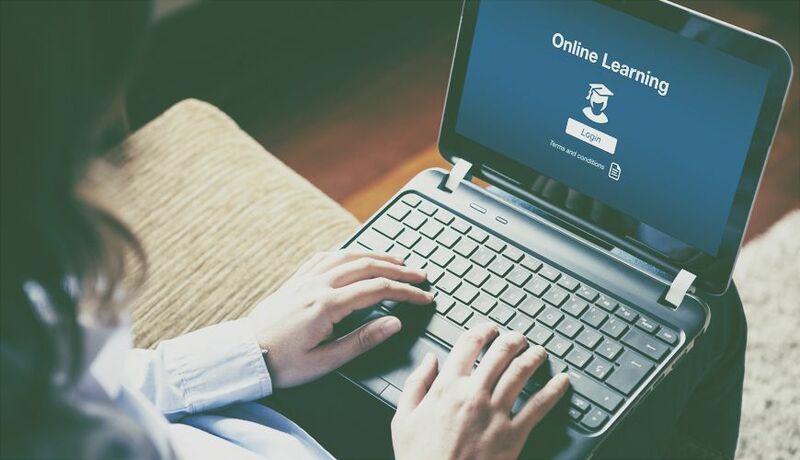 The past few years have been revolutionary in the online learning space. What was once a niche offering is now very solidly in the mainstream. According to some estimates, the industry is set to be worth US$255-billion this year. A recent World Economic Forum survey meanwhile found that of 25 000 young people from across the world, 77.84% of respondents reported having taken online courses in the past. That’s hardly surprising, especially when you remember that online learning sites offer students access to content from some of the world’s top universities and experts, often at a comparatively small cost. But who are the big players? Which sites should you look at if you’re looking to put your career into overdrive? Headquartered in Cape Town, South Africa, Getsmarter provides short courses across a number of categories, including business management, law, hospitality, and marketing. The courses are accredited by some of the world’s top universities, including Cambridge, Goldsmiths University of London, and MIT. Taking a slightly more practical approach to online learning, Lynda offers thousands of video tutorials. It aims to help users learn new skills across a variety of fields, including business and professional development, marketing and sales, and design and photography. If you still think coding is the preserve of developers, think again. Being able to code is useful to everyone, from entrepreneurs to journalists, and designers. And as tech finds its way into an increasing number of industries, it’s a skill that’s only going to become more important. In the US alone, some 7-million job openings in 2016 required coding skills. That alone makes a site like Codecademy important. Using interactive learning methods, it can take you through everything from the basics of building a website to advanced programming languages with specific applications. Coursera is probably the most well-known of the world’s online education providers. Launched in 2012, Coursera today hosts thousands of courses from more than 140 universities from 29 countries around the globe. While there are a number of courses that students can audit for free, they have to pay for certification. Coursera also offers a variety of study options, from courses to specialisations and full-scale online degrees. The rate at which humans are producing new data is, to put it mildly, astonishing. In fact, IBM reports that around 2.5 quintillion bytes of data are produced every day. With that much data being produced on a daily basis, there’s massive demand for anyone who can wrangle and understand that data. Which is why IBM set up Big Data University. The online provider offers free courses in data science and engineering across a range of skill levels. While you won’t earn a degree, you can pick up badges, as well as some in-demand skills. Another service which helps people learn to code, Skillcrush offers a number of programmes, including a free 10-day bootcamp. Unlike many online learning services, it also offers three-month career blueprints, which provide a step-by-step guide to prepare you for the career you desire. With more than 42 000 courses, Udemy can justifiably label itself as the world’s largest provider of online courses. Given the number of courses available, it should hardly be surprising that they cover a wide range of subjects covering everything from basic Excel skills to creativity and advanced programming. Ed2Go works according to two streams. The online career training stream offers six to 18-month self-paced instruction programs that prepare you for industry certification or a new career. Its online courses meanwhile teach you professional skills, help you earn continuing education credit, or allow you to learn new hobbies. Another service that teaches you to code, Udacity aims to help the engineers of the future develop their careers. While there are all the developer and data analyst courses you’d expect, there are also really-interesting looking courses in subjects such as deep learning, artificial intelligence, and virtual reality. Canvas Network boasts courses from colleges, organisations, and universities around the globe. The selection of available course is pretty eclectic, covering everything from the effects of disease on history to project management. Run as a non-profit, University of the People offers tuition free courses, with accredited degree programmes in business administration, computer science, and health science. University of the People’s teaching model is based on an online collaborative learning environment that promotes peer-to-peer learning and utilises open-source technology along with open educational resources. While most of the online learning programmes we’ve listed allow you to study subjects over the course of days, weeks, and months, Grovo aims to teach you new concepts in a matter of seconds. The platform weaves in one to two-minute video lessons with quick quizzes and real-world practice, something which it says helps people remember and apply more of what they learn. Have you taken an online course in the pursuit of career change or advancement? Share your experiences with us in the comments section below.